Siding & Windows Group is proud to be a siding contractor that’s part of the Glen Ellyn IL community, and we’re committed to offering you the highest quality siding materials with exceptional customer service and professional installation. If you are searching for a siding contractor in Glen Ellyn IL with a proven track record, look no further than Siding and Windows Group. We are the professional siding contractor that believes Glen Ellyn homeowners deserve exceptional siding products together with exceptional installation and service! We have expertly installed beautiful siding and windows on hundreds of home’s in Glen Ellyn and surrounding areas. Siding & Windows Group is proud to serve the Glen Ellyn area with James Hardie Siding. As an Elite James Hardie Contractor, our siding is installed with precision to last you a lifetime. The durability, sturdiness, and charm of James Hardie siding makes for the ideal siding for the Chicagoland area. If you are looking for a fiber-cement siding product that will endure the elements and give sturdiness and stability to your home, then look no further than James Hardie Siding. When you choose James Hardie Fiber Cement Siding, you are choosing a siding that will last you for generations to come. 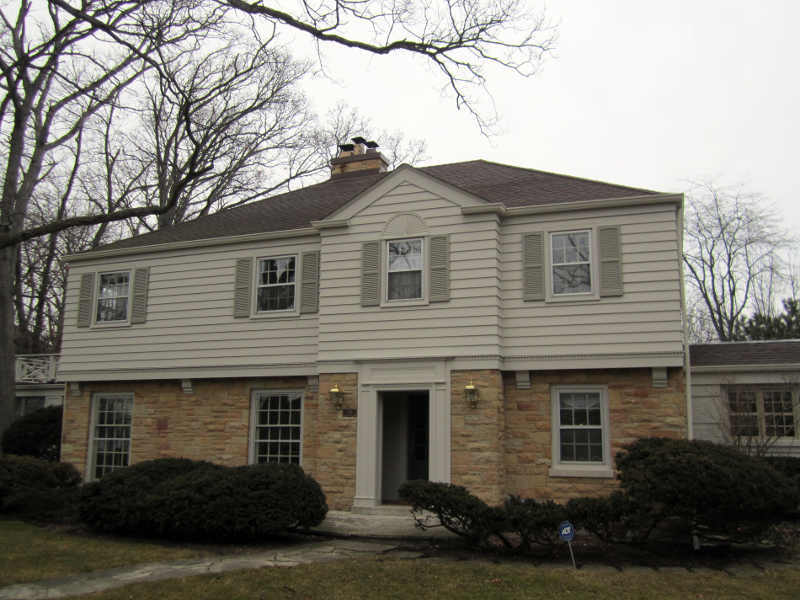 Siding & Windows Group is proud to provide Vinyl siding to the Glen Ellyn. As the premier siding contractor for Glen Ellyn, we are known as a leader in the siding industry for originality, innovation, and architectural integrity in exterior design. Vinyl siding is praised by homeowners who enjoy the amazing siding results: a beautiful looking home, a lifetime siding warranty, and our ten-year labor warranty. Mastic: For over 70 years, vinyl siding by Mastic has been consistently reliable with craftsmanship, been low maintenance and has high product performance. Above is the ‘After’ photograph of a siding and remodel we completed near Glen Ellyn IL. Siding & Windows Group replaced and installed beautiful James Hardie Artisan Lap Siding and Trim. Don’t settle for just any siding contractor in Glen Ellyn! Choose the best! Siding & Windows Group, is proud to offer superior siding products in the Glen Ellyn area, including James Hardie siding. To learn more about the benefits of this top-quality fiber cement siding product, click here. Click here to receive a free estimate from Siding & Widows Group for your Glen Ellyn siding remodel! To view more siding testimonials from satisfied homeowners in Glen Ellyn and other Chicagoland areas, click here. We contracted with Siding Group to completely replace all of our cedar siding and trim with Hardy material. This was a sizable, three week job, and Siding Group really delivered on their promises… They maintained a very neat work site, and thoroughly cleaned up at the end of each day… I almost never write reviews like this, but I feel that occasionally, when the quality of a company’s work really stands out, they deserve to be recognized for it. We are very satisfied customers.